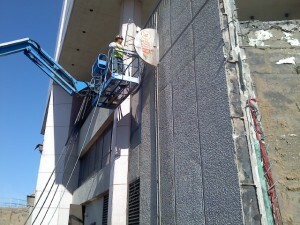 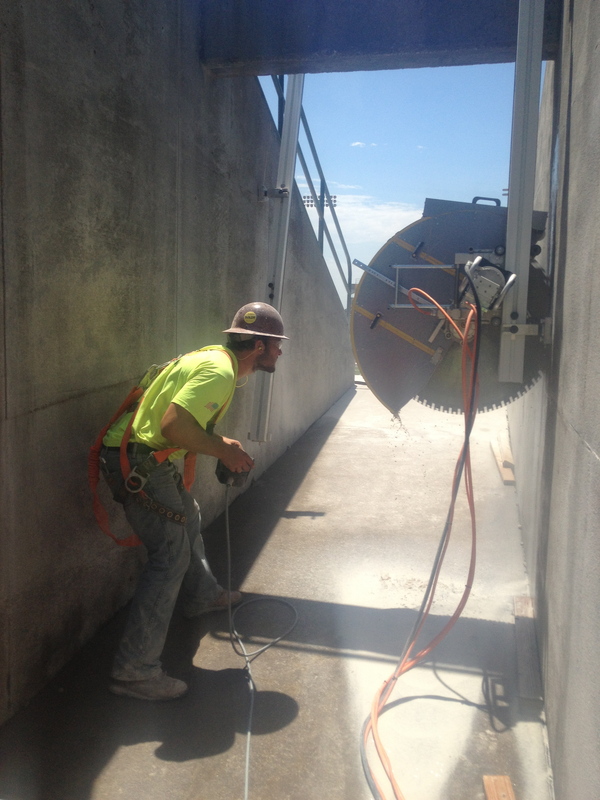 Wallsawing is as the name implies, sawing or cutting something on a vertical surface. 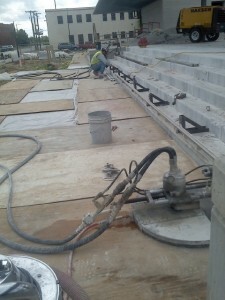 Generally a track is mounted to the surface along the line to be cut. A hydraulic, electric or other such power driven saw is attached to the track and the wall saw does the rest of the work. Wallsawing is often done for doors, windows and vents. 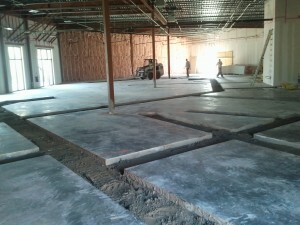 The possibilities are pretty endless. 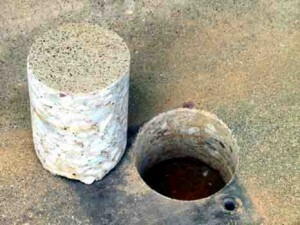 Core Drilling is commonly used to create round openings in concrete, stone etc. 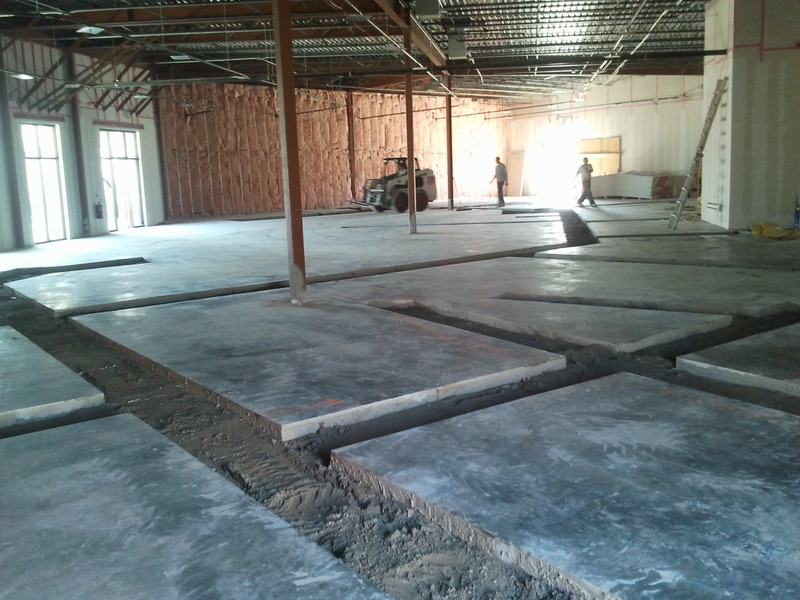 to install plumbing, HVAC, electrical, dowels, posts through concrete etc. or for obtaining test core samples. 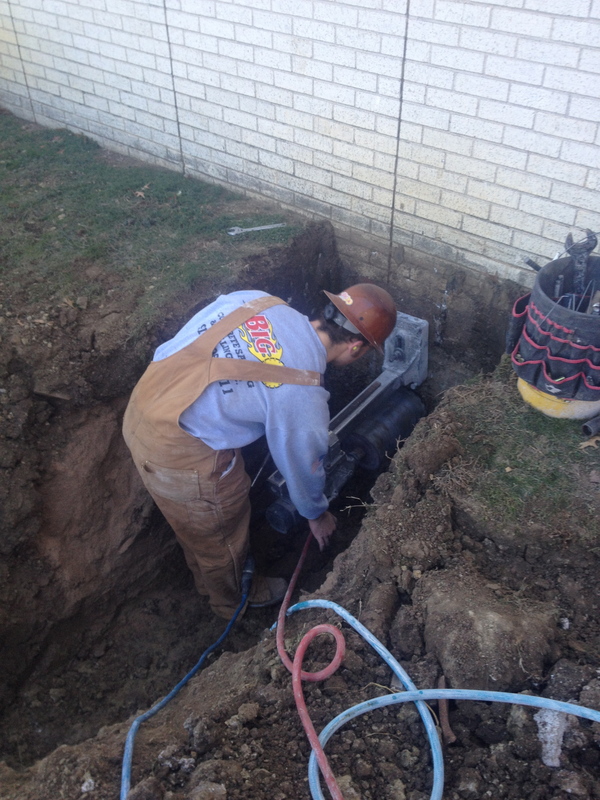 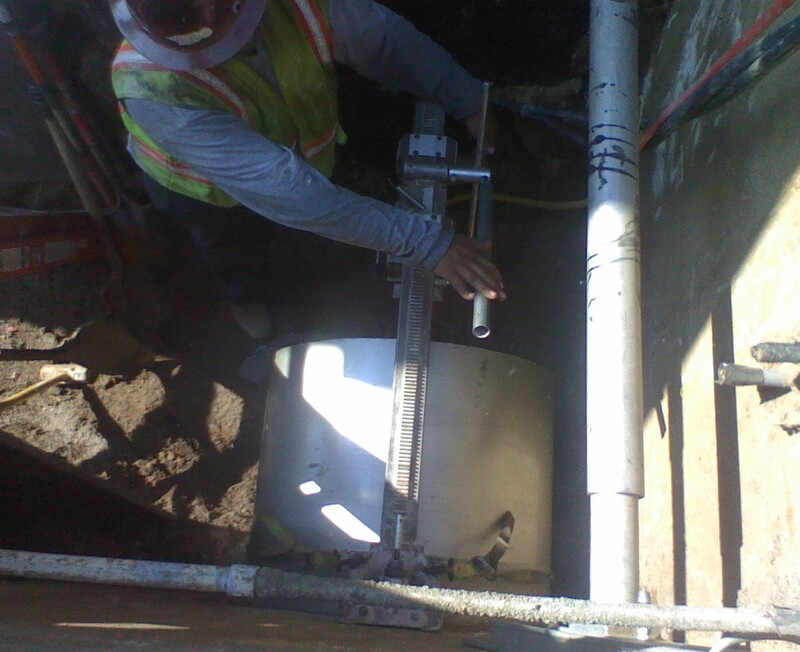 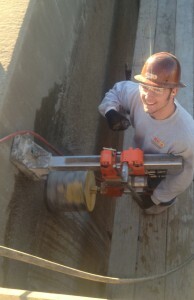 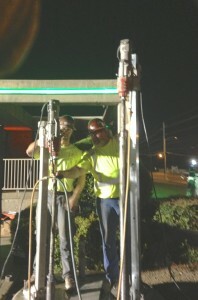 We can core drilling anything from 1/2″ to 48″ in diameter. 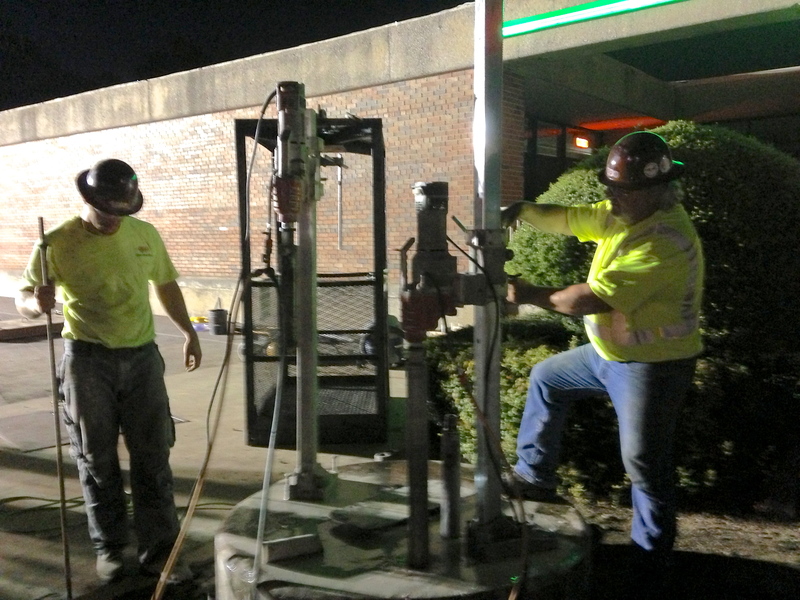 Depth is not a problem, we have the ability to drill at very deep depths…Steel reinforced slabs and walls, brick, block, stone and asphalt can all be core drilled by Big K.
As you can see, we core drill in lots of places. Big K was called out to downtown Tulsa to remove roadway columns. 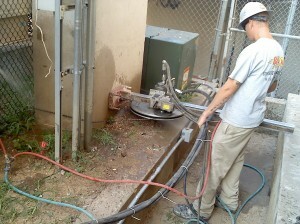 The diamond wire saw was put into use and made short work of these hefty columns. 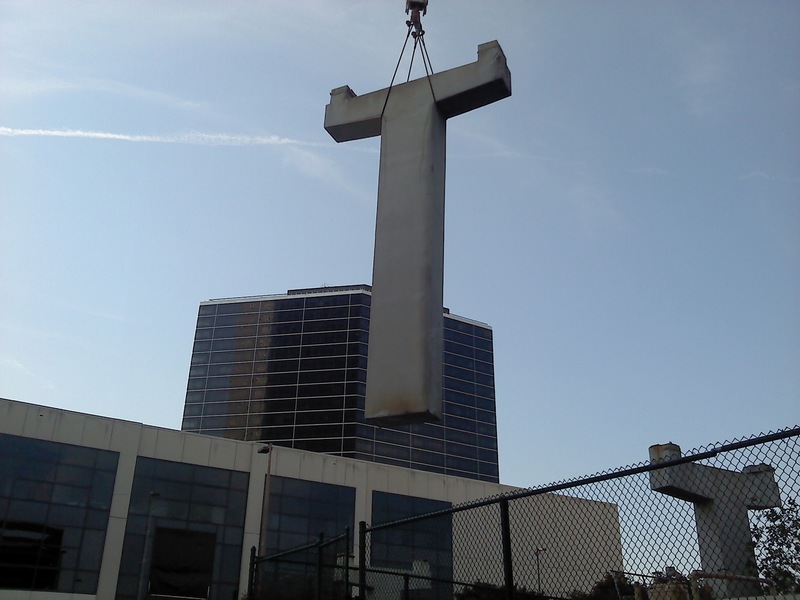 They were then craned out of position leaving only a small stump behind. 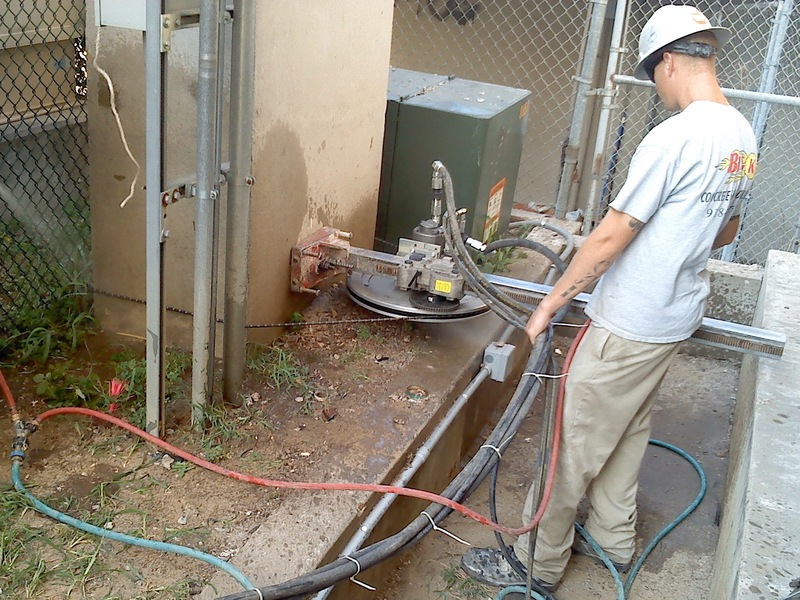 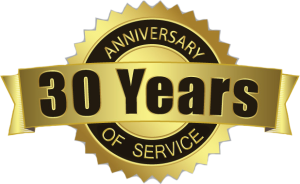 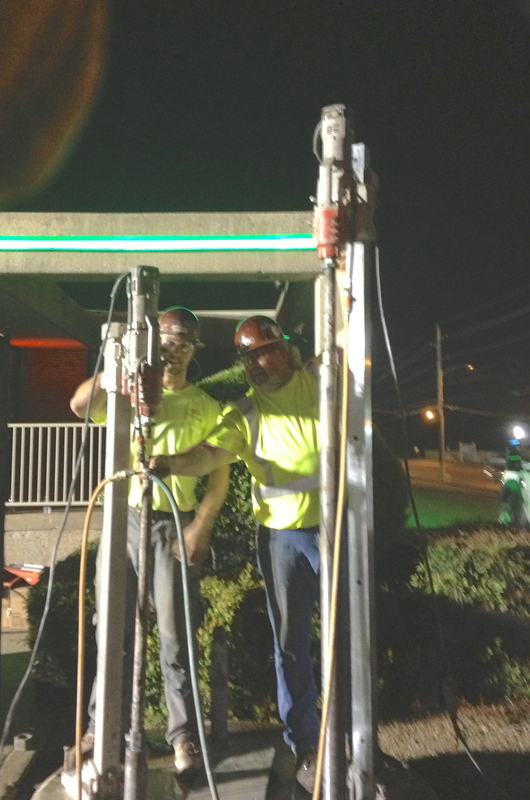 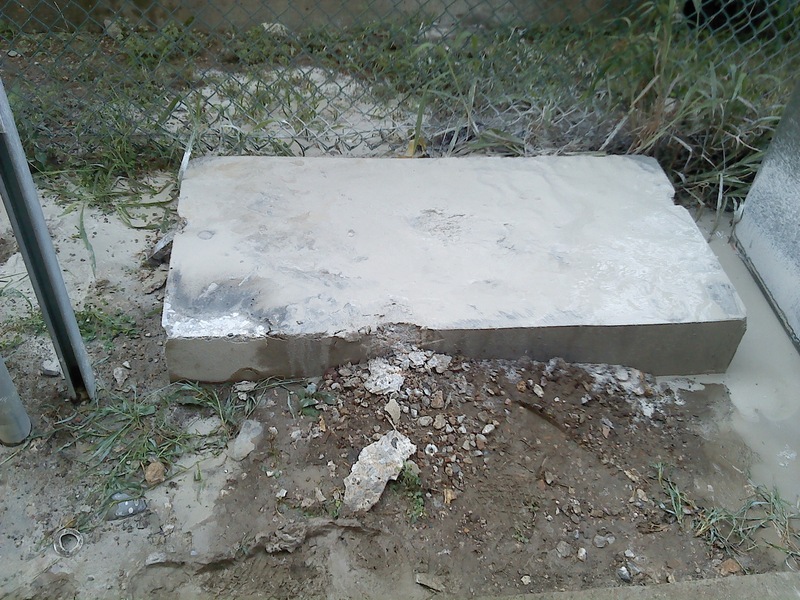 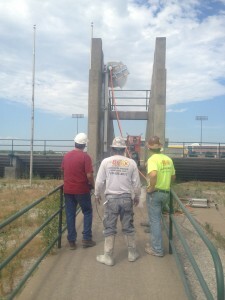 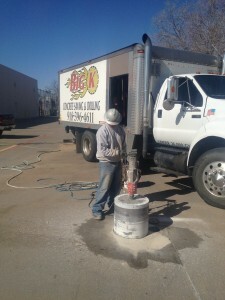 If you are looking for a punctual, precise and no-nonsense crew to electric flatsaw and even remove concrete at a currently “operational” retail store then you need to call Big K Concrete Sawing of Tulsa, Oklahoma. 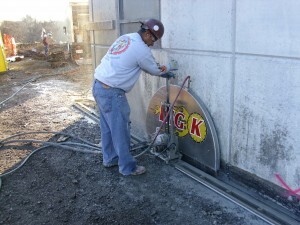 We have performed impeccable work at many local Target, Sams Club, Wal-Mart, Reasors, Whole Foods etc. 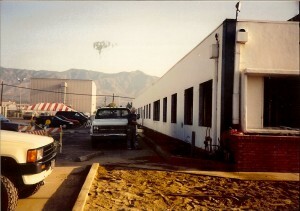 while the store remains operational.